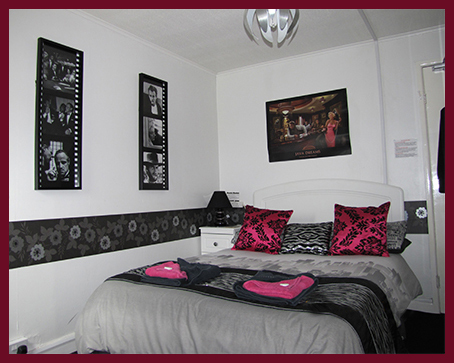 Hospitality and care are very important to Tony and Jaynie which is reflected in the facilities offered to guests. Every double glazed room includes a television and complimentary beverages and biscuits. Cavatina Lodge provides free ample car parking for up to 4 cars plus facilities for secure parking if required (on request). Established for over 13 years. Cavatina Lodge promises a virtual Home from Home for your relaxing stay. Cavatina Lodge use local produce whenever possible including fresh farm eggs and full flavoured quality Butchers sausages. Most dietary requirements can be catered for, including Vegetarian, Dairy and Gluten Free. 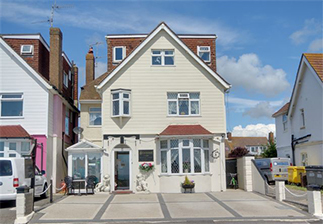 The Cavatina Lodge guest house is situated along the seafront on the A259 in Lancing, 10 miles from Brighton and only a mile away from Worthing town centre. Local to the shops, Cafes and Restaurants, Shoreham and Gatwick Airports. Lancing seafront and Brooklands park are all just a few hundred yards away. Cavatina Lodge has virtually uninterrupted views of the seafront from many of our rooms.